The Census Bureau has invited public comment on the addition of an explicit question about citizenship on the Census 2020 questionnaire. Please take a moment to read this comment submission from Asian and Pacific Islander American professors, researchers and educators opposing the addition of this untested question that will likely result in under-counting our communities and SIGN-ON here before July 30th. Increase your impact! After signing below, take 2 minutes to use this handy tool created by leading civil rights organizations to send an individual “public comment” to the Census. As Asian American and Pacific Islander American professors, researchers, and educators from across the nation, we are deeply concerned by the addition of a question asking an explicit question about citizenship on the 2020 Census. 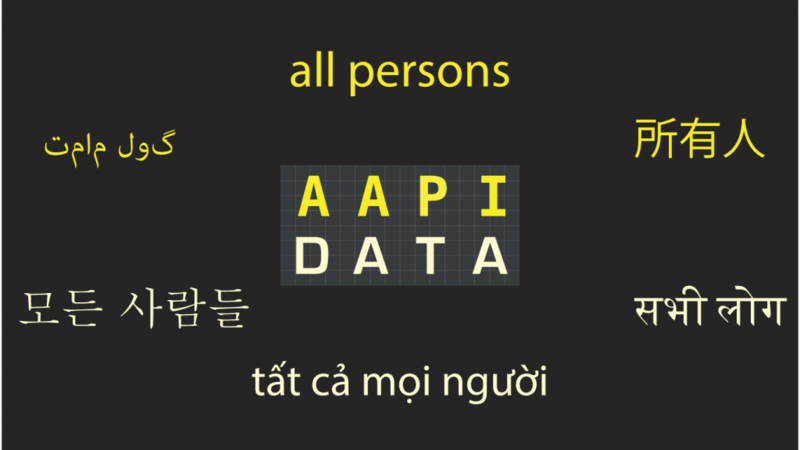 Data from the decennial Census represents the “gold standard” in terms of U.S. demographic data and are essential for understanding Asian American and Pacific Islander American populations, including their size and fast-growing numbers, areas of concentration, socioeconomic status, language proficiency, and other community needs that inform policies and investments by governments and the for-profit and non-profit sectors alike. As researchers and teachers who rely on Census Bureau data to study Asian American and Pacific Islander American populations, we have been strong advocates for accurate and detailed counts of these diverse communities. Asian American and Pacific Islander Americans are already at risk of being undercounted in the 2020 Census because they are more likely to live in “hard-to-count” areas (requiring more efforts to contact households to get a response) and are also more likely to be limited in English language proficiency, which further decreases the chances that they will complete the census questionnaire. A question about citizenship status only exacerbates potential for an undercount of Asian residents in the U.S., particularly the 58% who are immigrants and the 24% who are non-citizens who may fear answering such a question. Among Pacific Islanders, over 40% of Tongans and about two-thirds of Fijian Americans are foreign born. Increasing the reluctance of immigrants and non-citizens to complete the Census questionnaire will not only result in an inaccurate count of the Asian and Pacific Islander populations, it will also mean that the Census has failed in its Constitutional mandate. That mandate is to provide an accurate and detailed count of all residents, including the foreign born and non-citizens. Results of rigorous testing related to race and ethnicity questions conducted by Census Bureau researchers, including a massive experiment concluded in 2012 and a National Content Test in 2015, helped to inform recommendations for Census 2020. Yet no rigorous testing was done before including the citizenship on the 2020 Census form. Failure to test the citizenship question before including it on the 2020 Census questionnaire reflects poor methodology and violates basic research norms that will have dire consequences for the U.S. Asian and Pacific Islander populations. We urge the Bureau of the Census to remove the untested citizenship question from the 2020 Census to help ensure an accurate count of Asian American and Pacific Islander American communities. Where Can AAPI Voters Have Maximum Impact in 2018?